It’s our third month with the Civic, so I’ve now had time to really get to know the car. That means I’ve become accustomed to all its little foibles, idiosyncrasies and irritations, and crucially, I’ve had enough time living with them to know which of them become less problematic over time, and which persist in being really, really annoying. Let’s start with the stuff I’ve learned to live with, and the first of these is the car’s looks. 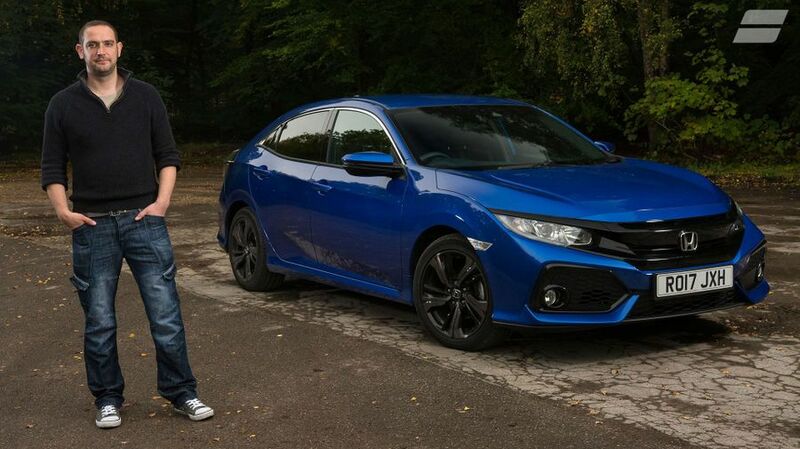 It’s not that I think the Civic is ugly – I wouldn’t have chosen it if I did – it’s just there’s so much about the design that’s totally needless. Everywhere you look, there’s yet another spoiler or another fake air vent, none of which serve any real purpose. It looks like the designers have thrown more and more styling features at the car without stopping to wonder how many is too many, and the result is very visually cluttered. That said, looks have never mattered all that much to me when it comes to cars, so it was never going to be something that’d ruin the experience. 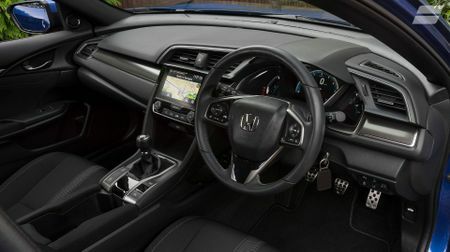 For me, the interior is another area where Honda has missed a trick, but while the exterior has too much flounce, the interior doesn’t have enough. The materials are fine in the places you interact with most often, but many of the others are rather hard and unappealing. The dark, monotone colour scheme doesn’t do much to pep things up, either, and the drab feeling is exacerbated by the fact the cabin is already pretty short on natural light due to the car’s small windows. 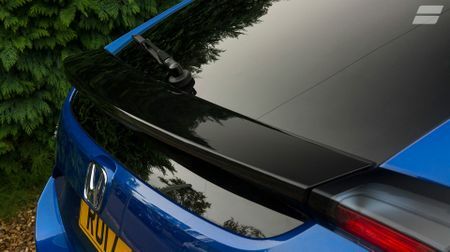 The rear visibility is another minor annoyance, which is the result of a rear spoiler that slashes its way right across the rear screen, blocking your view. It’s even worse in the rain, as the rear wiper only deals with a small section of the glass. But again with the cabin, these are things I can forgive, because there’s plenty of other stuff that’s good about it. The dials are easy to read, the seats are comfy, and there’s enough adjustment in the driving position to allow both myself and my missus (who spends as much time driving the car as I do) to get comfy. There’s also loads of storage, a snappy gearshift and lots of luxury toys to play with. There are a few things, though, I’m still finding very hard – impossible, in fact – to forgive, and the car’s fuel economy is the first. I’m not naïve enough to think that I’d get anywhere near the official figure of 55.4mpg, but I had expected to do a little better than the 38mpg average I’ve been getting so far. And with two toddlers in the back most of the time, it’s not like I’ve been hammering about the place. The remote locking system is another thing that gets me swearing on a daily basis. It’s not a problem when it’s just me on my own, because one press of the unlock button on the key always does the trick on the driver’s door. However, when you have the family in tow and you’re trying to open one of the passenger doors, it always seems to take several presses of the button, and the number required seems different every time. This often results in multiple presses being followed by a tug of the door handle, only to find that it’s still locked, and that’s especially irritating when your arms are full up with toddlers, or shopping, or both. 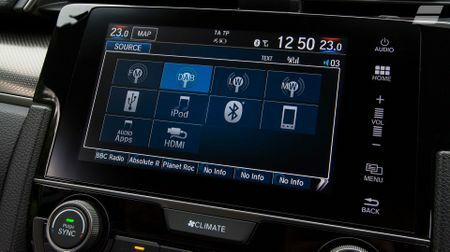 However, each of those negatives pales into complete insignificance the second you encounter the Civic’s awful touch-screen infotainment system. The graphics are outdated, the screen isn’t sensitive enough and it’s slow to transition between screens. But, the worst bit is the completely illogical way the user interface works. Even doing the simplest things – like changing the radio band, finding a new station or switching audio between the radio and your phone – is cripplingly difficult, and often takes several goes before you stumble upon the right approach. You might well be thinking, surely, this is one of those things that, as highlighted at the beginning of this report, you get to grips with over time as you become more familiar with the system. And with many systems like this, indeed it is. But, the Honda’s is just so illogical and so counter-intuitive that you never get used to it. Or rather, I still haven’t after three months, so I’m pretty sure I never will. The system is so central to the workings of the car – most functions are controlled through the touch-screen – that you can’t just ignore it, and that means it infuriates you several times a day. And I’m already a very grumpy person, who already gets irritated several times a day by other things. I really don’t need my car adding to the list, thanks very much!